The reels are the essential part of the fishing rods. 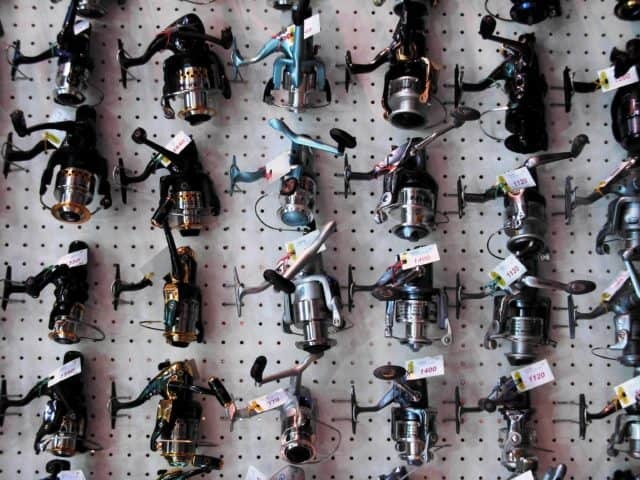 There are various types of fishing reels but the spinning reel is called king of the water. Because the spinning reel is smooth, quiet, easy to handle and has other good facilities. It is very helpful for the beginners. Spinning reels are open-faced reels which have fixed reel seats or sliding rings. They are the most popular reels for their user-friendly features. A spinning reel has a bail wire which rotates around a spool. For this reason, it is called spinning reel. If you want to use the spinning reels properly for fishing, you have to know about it. Otherwise, your purposes may not complete fully. So, if you want to have a complete guideline about the spinning reels, read this writing thoroughly. 1 How Does a Spinning Reel Work? How Does a Spinning Reel Work? It is not rocket science. The working process of a spinning reel is quite simple and easy to understand. A spinning reel has reel feet which will attach with the reel seats of a fishing rod and will work together. The spinning reels are well-constructed to minimize the chance of “bird’s nest” occurrence. The design of the reels makes the line to twist and wound onto the reels. Anti-reverse bearings create an angle to set the hook properly. For this reason, you don't need to turn the bail wire backward. By using a simple lever, an angler can easily back reel. It allows the handle to turn back and it helps to fight against large fish at the time of fishing. So, you don’t have to rely on the drag process only. The spinning reel was a great innovation in the field of fishing. Here I have pointed out the advantages of the spinning reels. The spinning reels are designed to minimize or avoid some common bad issues that we are facing at the fishing time. Line tangle jammed, birds nest is some of them. The spinning reels are cheaper than many other types of reels. They can provide a great service without getting any complex problem or error. It is a key advantage of the spinning reels. Other reels such as surf fishing reels’ fly fishing reels etc. are suitable for a certain fishing style. Whereby using the spinning reels, you can apply almost all of the styles. The working method of the spinning reels is too easy to handle. But handling other reels are not as simple as it. For this reason, spinning reels are the good choice for the beginners, and the old men. If you use a spinning reel for fishing, you can easily cast a good distance. The bearings of the reel provide good rotation of the spool. By using a simple lever, you can also pull off the line easily. You don't have to do many things to maintain a spinning reel. It requires just lubrication of the bearings and cleaning. Isn't it so simple? As they are well-constructed, they last long enough. But it's up to the users. How they use and maintain the spinning reels is the main fact. If you use and maintain the reels properly, the reels will last long. You will not face any line digging problem if you use the spinning reels for fishing. If you look for a good spinning reel, you have to consider some things. But how much you know about the factors? If you know something or little, you can find all of them here. The quality drag system can ensure the smooth fishing experience. The spinning reel’s drag system is more user-friendly than other reels. But when you will select a spinning reel from the verity, you need to choose the best drag system, provider. You can read reviews, watch product reviews or talk to the experts to get sure about the spinning reel’s drag capability and then decide. Almost every model of the spinning reels has 3 or 4 sizes. The main difference is the spool size of them. If the spool size of the reel is big, it increases the line capacity. That’s mean you can go a long distance with it and vice versa. So, you can choose according to your needs. The spinning reels are made of plastic, carbon, aluminum, fiberglass etc. If you want to have a lightweight and long lasting spinning reel, you can take the carbon or fiberglass made the reel. But they are costly than other. The bearings are the key parts of a spinning reel. They help to move handle and spool together. A quality spinning reel requires 4/5 bearings. You don’t need more bearings for your spinning reel. More bearings will just increase the cost. So, when you will go to buy a spinning reel, keep it in mind. It is an important feature. The spinning reels use a little lever or a switch to control the anti-reverse. It is needed for the back reeling. It also helps the dragging process to fight against the big fishes. The spinning reels are cheap, more user-friendly, easy to use and good solution for some reel related problems. For this reason, they are popular in the almost all types and ages of fishermen. The spinning reels are highly recommended for the newbies for their simple action. Hope you have learned what you were looking for. Now, if you want to buy a spinning reel, you will able to find the best for you. All the best.